Linebackers headman, Erik Chinander, is rapidly becoming one of the Pac-12’s more formidable recruiters. The second-year coach has found his niche among the nation’s elite defenders. Last week, outside backer Bryce Youngquist (4-Star/Rancho Cucamonga, Calif./Rivlas250) indicated his program decision may come sooner than expected as Oregon continues to fill its depth chart of the future. 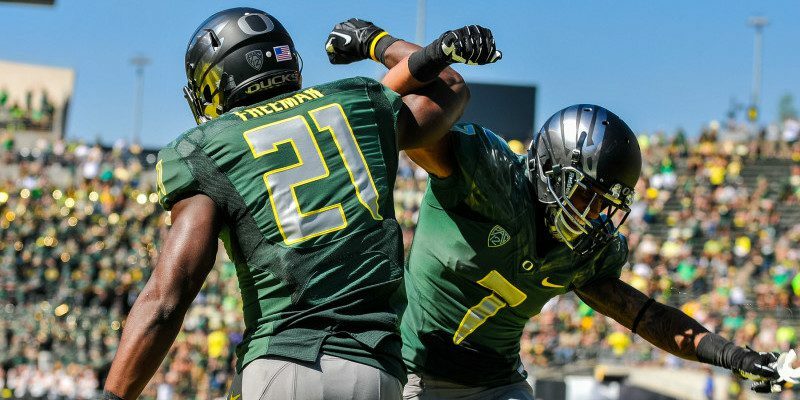 A longtime target, Youngquist has gone as far as to say that Oregon leads his recruitment as the 6’2, 210-pound player moves closer to a program decision. During Youngquist’s unofficial summer visit, Chinander and defensive coordinator, Don Pellum — coupled with Oregon’s facilities — sold the recruit almost immediately. That placed Mark Helfrich & Co. in the driver’s seat to land the southern California product. Now the plot thickens. Reports are that Youngquist may take official visits after a verbal commitment before his final prep season. It appears Oregon now will get an official visit in addition to the time coaches already have invested in the vaunted linebacker. Rest assured, Chinander should be able to close the deal once Youngquist gives an almost-predetermined commitment to Eugene. Stay tuned!